In an effort to push technology modernisation, Indian Railways is planning to equip 11,000 trains and 8,500 stations with 12 lakh CCTV cameras. The department will soon begin the procurement of equipment to increase the safety around the rail premises. The Railways will make a provision of around Rs 3,000 crore in its budget for 2018-19 to install CCTV systems. The Railways plans to install modern surveillance systems in all the trains in the next two years. 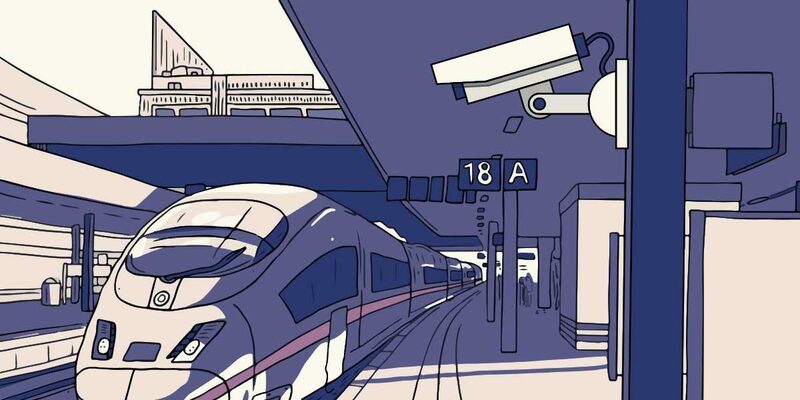 Currently, there are about 395 stations and about 50 trains that are equipped with CCTV systems. According to an ET report, the railways is also planning to equip all railway stations with Wi-Fi facilities at an estimated cost of Rs 700 crore. Under Digital India initiative, it has currently commissioned Wi-Fi services at 216 major stations offering free Internet service to about seven million rail passengers. Besides, railway stations in rural areas will have kiosks with Wi-FI that will become digital hot spots offering services like digital banking, Aadhaar generation, issuing government certificates, including birth and death certificates, and filing taxes and paying bills, among others. Google is another stakeholder which has been offering free Wi-Fi services at various railways stations. Until October last year, Google was offering high-speed Wi-Fi services at 200 railway stations across India. The development was first reported by Hindustan Times via IANS.